The work I do helps people create stress-free environments where energy can flow freely, allowing new opportunities to come easily into their lives. This free-flow of energy in your space is one of the most basic principles in Feng Shui. When energy is clogged, life begins to feel stuck, stagnant, without opportunity. A family of four lives in a big beautiful home they built from scratch. Both parents work outside the home in jobs they enjoy--that are in line with their interests. They are all relatively healthy and cook delicious, plentiful meals. They vacation together a couple of times a year. Life should feel good. However, like the majority of middle class homes in first world countries, their space is full with far more than they can ever attend to (in their lifetime). The kids things are scattered in at least 5 different areas (closets & bins, bedrooms, basement, family room and living room). Mom is a bargain shopper who can’t resist a good deal and brings home projects: cool things that need time and attention to fix. There is so much stuff in the space, that it constantly is in need of picking up. Papers pile up on both desks in the home, so much that you can’t actually use either surface. When they walk into their home, they are reminded of all they have to do, and it is exhausting just thinking about it. That is the reality in the their space--one that I’m sure many of you can appreciate. I know my home used to feel this way as well! Here’s the thing: their lives feel very similar to the state of their space (which is no coincidence). Life for the family is busy and stressful. They are always running around, often late. The parents are unable to follow through with much of anything, with so much on their minds. Their marriage is strained, with little time to maintain the connection they originally felt. The clutter drives the husband crazy--and is a source of contention in their marriage--but they both continue to buy more. They have enough money coming in, but even more goes out. Their two young children have difficulty with attention (and have been labeled with all kinds of potential attention deficit disorders). They are unable to focus, with all the input around them. Each member of the family may appear to enjoy decent bodily health, but the state of their minds is compromised: they do not feel happy or fulfilled, at ease, or able to fully breathe. I imagine you may have felt this way too. Your space is a reflection of your life, your body & mind. The state of the space around you can make it difficult to feel all the good that is in your life. When your space is overly full, your life is overly full. When your mind has too much visual input and distraction, your life feels overwhelming, like you can’t concentrate on what is important. You jump from one thing to the next, putting out fires rather than being present. The root cause of overwhelm, frustration and exhaustion in our lives is the sheer amount of stuff that we own. However, it is not just the amount of stuff that we own that creates stress, it is the fact that we are surrounded by things that do not make us happy, that weigh us down. When you keep the things around you that do not make you happy and inspire joy, then your life will also be full of things that do not satisfy or inspire you. Clutter is not only the stuff that collects on surfaces, it is the stuff in your life that does not make you happy, that remains in your space anyway. We can thank Marie Kondo and her best selling book: the life-changing magic of tidying up, for the concept of whether or not your things inspire joy. This concept is a new one for many: we have not been accustomed to thinking about our things in such a manner. Her process is one that is incredibly effective, where you undertake a once in a lifetime decluttering event to surround yourself only by the things that make you happy. When I first read that, I was incredulous that this was possible. I had so much in my space that I thought I needed, even though it did not bring me joy. But let me tell you, this once in a lifetime event, that allows you to never declutter your space again, is indeed life-changing. It allows you to be happier in your life, not just in your space. This process is now a big part of the foundational work I do with my clients. I still rely heavily on the intention setting and diagnostic tools in Feng Shui that allow me to pinpoint specific areas of life where you struggle and create shifts in your space to ease those struggles. But I am in the market of getting people the life-changing results they are after. This is why I created the Clear Your Space, Clear Your Mind Course that integrates: the KonMari system to declutter; powerful Feng Shui to live more intentionally in your space and life; and Mindset to help unblock the stuck areas you inevitably come up against when you touch all of your things--which are all intricately intertwined with your past. Shifting your mindset around your things is powerful. Your things are here to help make your life more enjoyable, not less so. The amount of time we waste dealing with our things is incredible: fixing them, finding a home for them, cleaning them, organizing them, mitigating arguments between our children about them. Now multiply that by each and every item in your home and you immediately feel that overwhelm that our things cause daily in our lives. Now that I have LESS STUFF in my home--and only the things that make me happy--my experience in that space is so much more enjoyable. I used to feel incredible frustration as I spent countless hours picking up after my family--wondering why I was the one with this job, blaming everyone around me for the state of my space. Now, picking up is quick and easy. I’m not a minimalist. I like a cozy home and we still have a plentiful amount of stuff. It’s not about the number of things, it’s about whether or not all of those things inspire joy in you. When your things inspire joy, picking up is like a communion with what you love. It’s easy and enjoyable and doesn’t take much time at all (even when I walk in and it looks like a bomb has gone off in my living room!). Our homes have the ability to make our lives more difficult, or to make our lives easier. Step one in creating a supportive, stress free environment that lightens your load (physically and mentally) and frees up time and space in your life, is to let go of (and thank) all of the items that you don’t love. Things are meant to be loved and in letting go of the ones you don’t, you’re enabling someone else to find joy in them. Myth #1: You can solve the problem of clutter by being more organized. I used to believe this one too! In fact, early in my career, I used to help people organize areas of their homes (basement gear rooms, pantries, toys, desks, etc). What I learned is that no matter how organized a space was when I left, within some matter of time (days, weeks, months) the space would devolve back to utter chaos. I used to study different organizational systems and implement them in my own home and once lived in 500 square feet of space with my husband and then our first child until he was two. I organized the heck out of that space (and it was incredibly beautiful). We had 10’ ceilings and our closets had shelves that used all of that vertical space. We had shelves on top of the crown molding in many places. Every inch of our storage was utilized. What this really meant was that when you wanted to get one thing out, often you had to take ten things out to get to it. This also meant that things were not always easy to put away, which meant they didn’t get put away for some time. You cannot solve the clutter problem in your space by being more organized. A cluttered space indicates TOO MUCH STUFF. When you cull down to only what brings you joy, turns out, 99% of us have more than enough storage. Don’t get me wrong, organization is helpful, but will only last after you’ve let go of everything that doesn’t bring you joy. Myth #2: My space is cluttered. I must need more storage. We all fall for this trap. I have more stuff that can fit in all my storage, so I’ll get more storage. This often (even in big beautiful homes with plenty of storage) leads to walls that are lined with bookcases and armoires, dressers and shelves--full of things that almost never get used. Even in homes where there is more than enough storage, clutter takes over surfaces and floors, closets and desktops. You cannot deal with the clutter problem by adding storage. This simply creates a space that stagnates further, with large furniture pieces that take up far too much space. Again, storage is helpful, but not before you’re incredibly clear on your needs. Myth #3: In order to make my home feel good & reflect the life I want, it’s going to cost a lot of money. My own home is not full of the most beautiful furniture pieces. I have two young kids who are hard on our furniture. so I have yet to invest in any designer pieces. But, it is incredibly welcoming. People rave about the way it looks. The beautiful things we do love, have space around them. They are highlighted, not covered up by all the stuff. Our family thrives in this space and in life. Your space need not be full of the most beautiful, up-to-date pieces in order to feel AMAZING. In the work that I do with people, we get really clear on their needs. Quite honestly, 95% of the time, people find they have exactly what they need already in their space. When there are gaps to fill, they know EXACTLY what they need, so they’re not wasting time and money looking for furniture pieces they think will be helpful, but later find they don’t really need. When you buy less, you can afford to buy the lovely, more expensive item you’ve been eyeing. 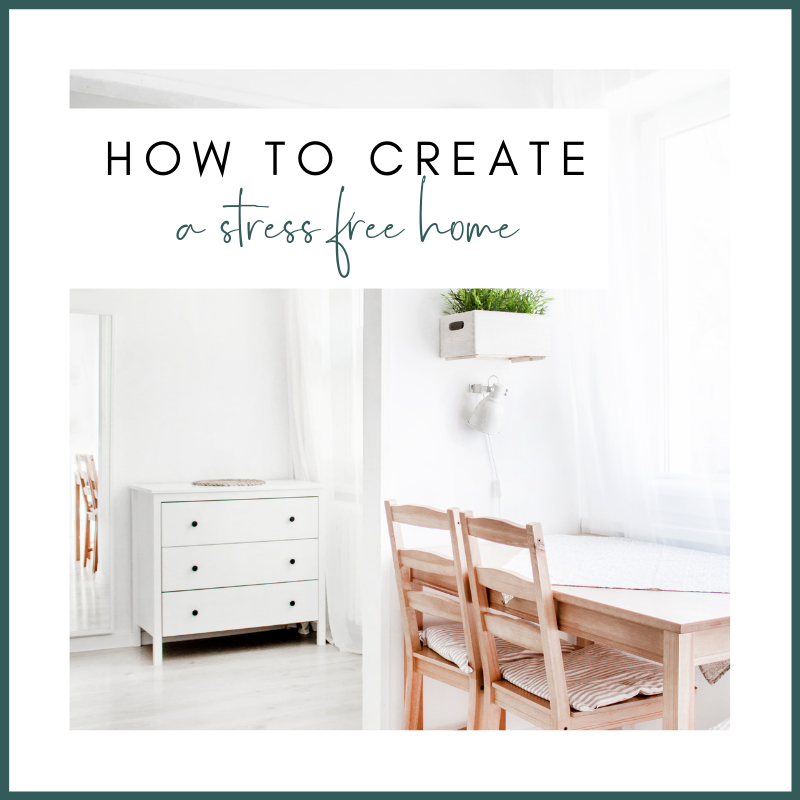 Which leads me Step 2 in creating a home that is easy-to-maintain, that allows you space and time and ease in your life. How to find a Place of Purpose, a home for everything in your space. This step comes AFTER you purge your space of everything that doesn’t bring you joy. That part may be bad news, but it’s important. If you try to organize and find homes for all your things first, I can guarantee you you won’t have enough space, nor will the organization last. If you’re going to spend the time to find a home for everything, it’s best to make sure you’ll be capable of maintaining the space. A mom in a family with two boys was telling me how her new thing was getting everyone at home to put things away where they belonged. I agreed with her sentiment, but could also feel her frustration since this idea had proved to be more difficult than she thought it should be (why can’t they just put things back where they belong?). Here’s the thing. I live with two young children and a husband who leaves things in random places. Turns out, I actually leave things in random places as well--despite my attempts to touch things once, meaning putting them where they belong the first time around. This is just part of life. There are times when we’re in a hurry and it is not our priority to put things away. There are times when we’re feeling lazy and it is not our priority to put things away. There are time when our mind is elsewhere and we don’t put things where they belong. There are times when there are a few things on that desk anyway, so why not add one more thing (you may be familiar with the Law of Attraction where Like-Attracts-Like). Putting the things away that we’ve taken out to use (which is what things are for after all!) will always be a part of life. This will be a large and potentially frustrating part of your life when you still own things that don’t make you happy. This will be a relatively insignificant and enjoyable part of your life when all of your things bring you joy. Marie Kondo tells us that you ask your heart what to keep and you ask your home where to keep it. After you’ve purged everything in your home that does not bring you joy, it is actually quite easy and fun determining where to put things. Store like things together. This creates a collection, rather than clutter (which is what these things will feel like when they are spread out over your space). Find homes for things based on how easy they are to put away, not how easy they are to get out! When all of the things that you love have a home, a Place of Purpose, it is easy to put them back, cleaning up is quick and enjoyable, you spend far less time dealing with all of your things, so that you can get out and LIVE YOUR LIFE! A home with only loved items that all have a Place of Purpose is also a home where energy can easily flow in and around your things. This means the majority of the Feng Shui work you do to create a supportive functional home is already done. The rest is fine tuning and will come easily. This life is meant to be enjoyed, right here in the present. We grow far too accustomed to the heightened stress levels from the inputs all around us. Too often, this means that our homes are a place of stress as well, and we’re simply used to this. This day in age, we are desperately in need of a place that really allows our bodies to decompress, to fully rejuvenate. Your home can be that place. Your home should be that place. 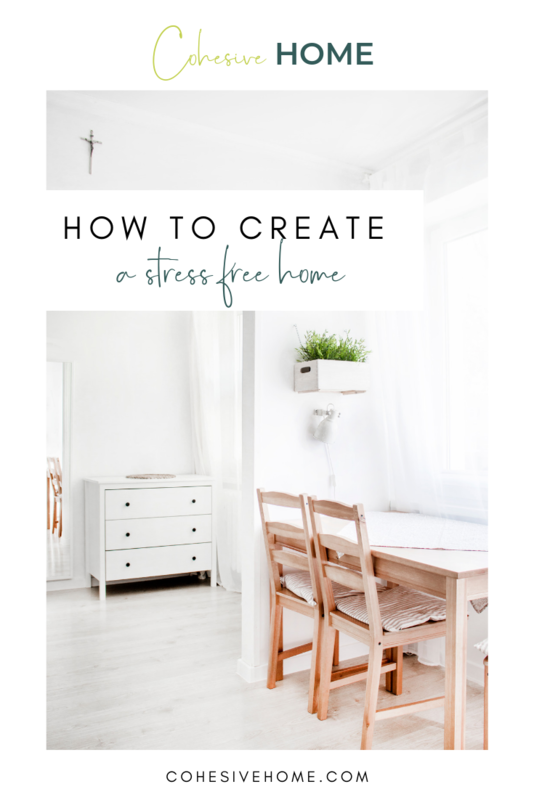 When you’re ready to gain the inspiration and know-how you’ll need to create a home that supports a stress-free life, visit Tenaya at: www.tpkfengshui.com to receive a FREE Masterclass on the 5 Ways to Create a Home that Reflects & Allows-in the Life You Really Want. It’s an amazing training that will inspire you to take the next step in your home! Click below and Tenaya will send a Tip Sheet on Common Feng Shui Problems & their Cures directly to your inbox! Click Here to receive your tip sheet! Tenaya is the founder and CEO of TPK Feng Shui and Design. She is a Feng Shui & Design Consultant as well as a wife, mom, entrepreneur and space guru. With a background and training in Feng Shui, Interior Design, Architectural Drafting, Space Planning, Color & Psychology she delights in discovering the design that unlocks the potential in your home. Tenaya founded the Clear Your Space, Clear Your Mind, Transformational Community--where she steers members through the process of lightening their physical load in order to allow more opportunity in life. She also works with private clients around the world. Her mission is to help you create the transformation in your home that you would like to see in your life.